Pirate fan or not, the Sparrow beard (named after Jack Sparrow) is a blockbuster in the facial hair world. A mix of mustache, Soul Patch and goatee, this style is a crowd pleaser indeed. Shave the cheeks and neck clean. 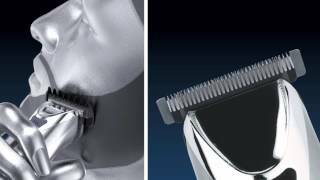 Don't trim hair above the lip, below the lower lip and on the chin. Allow the mustache to grow just beyond the corners of the mouth. 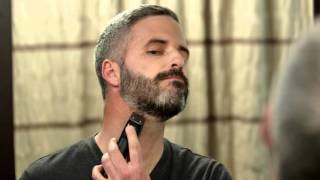 With your Wahl® trimmer, trim the Soul Patch in a triangular shape. It should be pointing down toward the chin. Hair around the chin should extend just beyond the corners of your mouth. Allow hair to grow four to five inches out from the bottom of your chin. Part chin hair into two strands and braid or fasten the strands with beads.